KIEV, Ukraine — With President Petro Poroshenko slipping in the polls a week ahead of elections, Ukraine's government is trying to put a brave face on his achievements, insisting it is well on its way to delivering on the demands of the Maidan protest movement that drove the previous Russia-backed president from power in 2014. 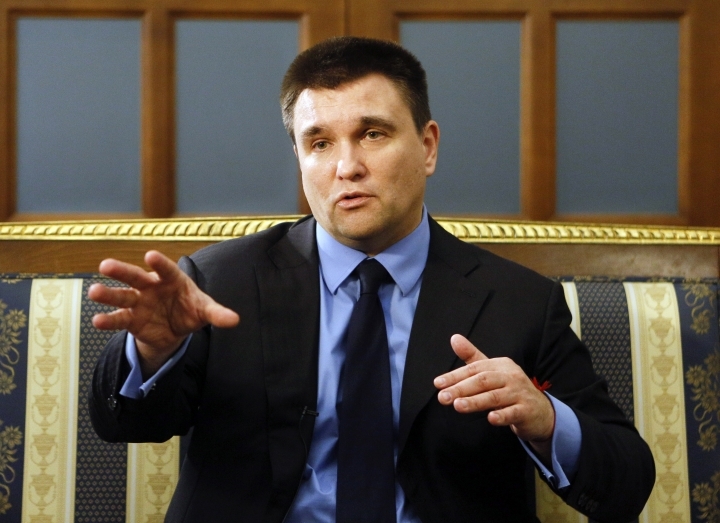 In an interview with The Associated Press on Friday, Foreign Minister Pavlo Klimkin insisted that Ukraine has Russia on its knees, and that his country is making good progress toward taking its place among Western European democracies. "Ukrainian society five years after Maidan is ripe enough ... to fight for an independent democratic and European country, and for me part of this future is of course our membership in the European Union, in NATO," he said. "Ukraine is already part of the trans-Atlantic community. It should formally become part of this trans-Atlantic community." A war with Russia-backed forces in eastern Ukraine, along with Russia's annexation of the Crimea Peninsula, has stalled many of Ukraine's European ambitions. 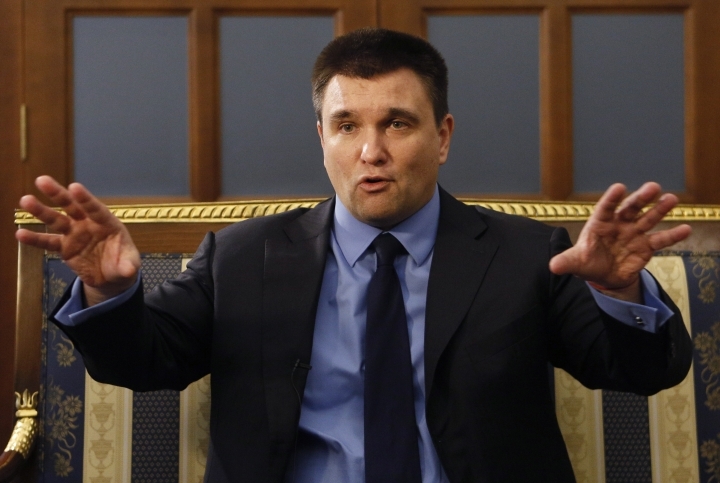 But Klimkin insisted the standoff is hurting Moscow more than Kiev. "Look at the economic development in Russia: no growth. Look at their societal development. Look at Russian demography. Russia is going nowhere under current conditions," he said. "And I believe that quite soon the Russian leadership will have simply to face this fact." Ukrainians will vote for a new president on March 31, with a likely second round in April. Poroshenko is trying to get re-elected, but a deep recession, endemic corruption and a war with Russia-backed separatists that has killed more than 10,000 people are weighing heavily on his ambitions. 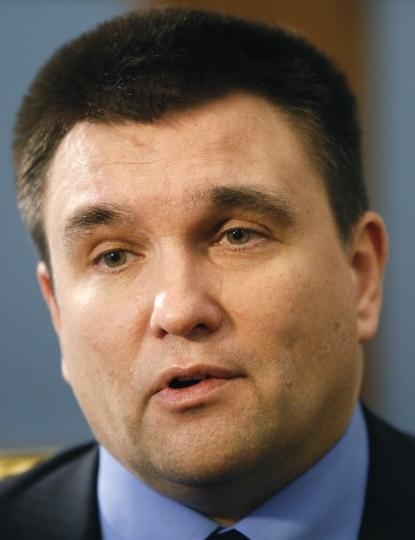 Klimkin acknowledged that the government has made less progress than it would like. "We have to do better with reforms here in the country. We have to do better with transforming our justice system. We have to do better with tackling corruption," he said. "But if you ... compare current Ukraine with Ukraine five years ago, right after Maidan, it's completely a different country." He insisted that the corruption scandals won't deter the West from sending aid or weapons to help Ukraine — "I'm sure it will not" — and described EU and NATO membership as a "midterm exercise." "I'm not saying it will come tomorrow or after tomorrow. We have to be honest. 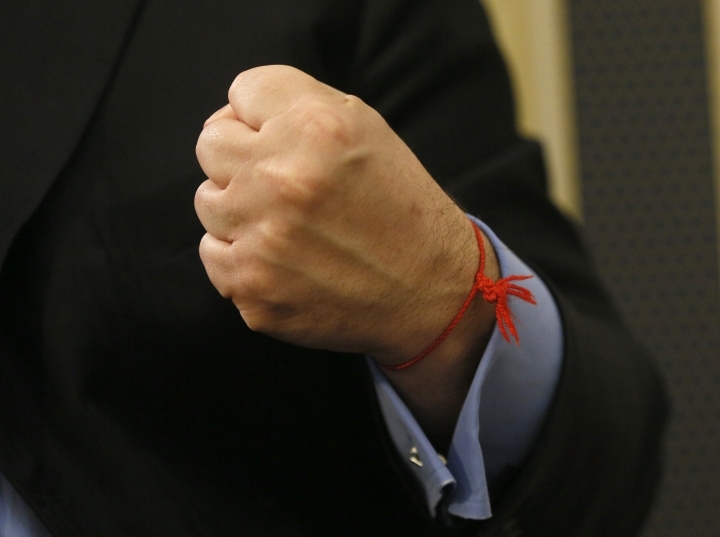 It's not a short-term exercise, but it will come," he said. "Let's be clear: We are not ready now. We are not ready either for EU membership or for full NATO membership. We need to do more in the sense of reforms and in the sense of getting our security and defense sector up to the standards." But he described the project as inevitable. "Ukrainians will not tolerate any kind of back off or veering off from this fundamental force," he said, adding of the presidential candidates: "If someone tries to become more pro-Russian, he or she will be thrown out of the office the next day."